Hellenic air force F-16D Fighting Falcons fly alongside a U.S. Air Force KC-135 Stratotanker from the 100th Air Refueling Wing Oct. 26, 2017, over the Mediterranean Sea. 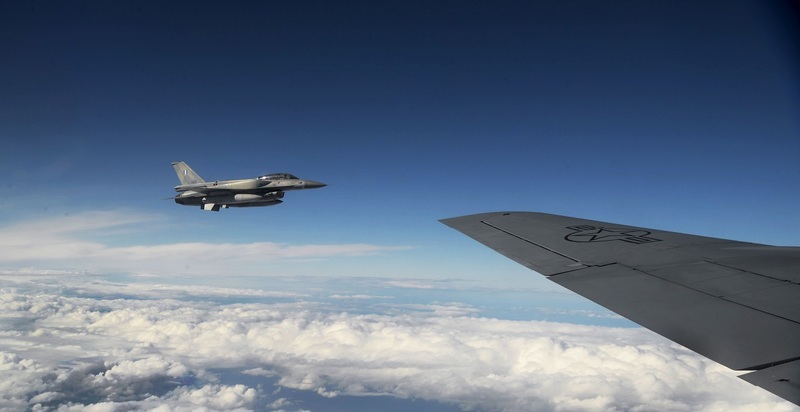 On Oct. 26, 2017, a U.S. Air Force (USAF) KC-135 Stratotanker and Hellenic Air Force (HAF) F-16s participated in an air to air refueling training mission over the Mediterranean Sea. 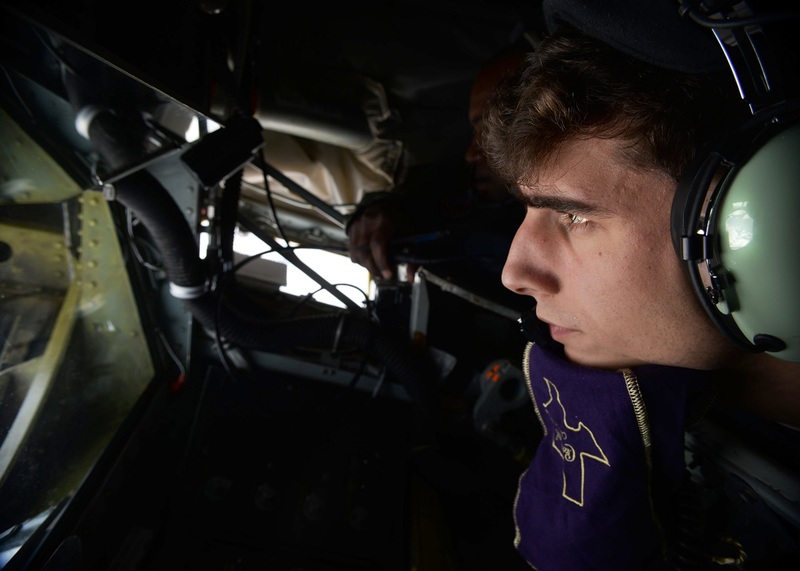 As told by Airman 1st Class Tenley Long, 100th Air Refueling Wing Public Affairs, in the article Bloody Hundredth demonstrates reach, builds partnerships in Greece, training commenced from the moment the wheels of the KC-135 Stratotanker landed at the Athens International Airport in Greece. Actually this was the first time landing at an international airport for all the pilots on board the KC-135. 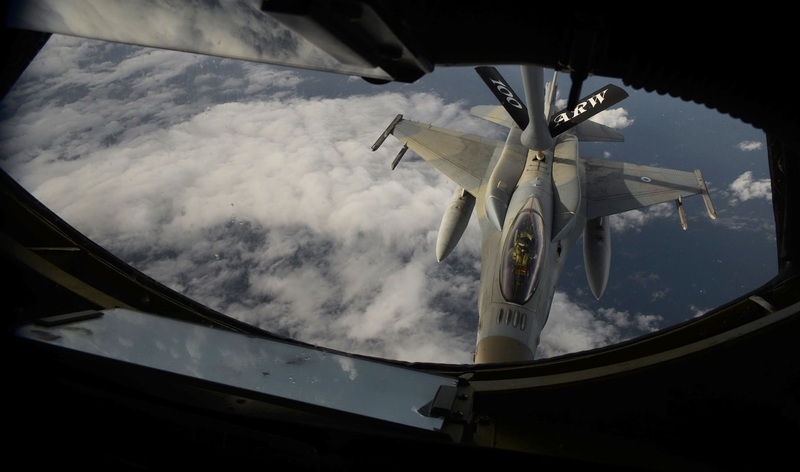 U.S. Air Force Senior Airman Kaleb Bourque, 351st Air Refueling Squadron boom operator, refuels a Hellenic air force F-16C Fighting Falcon Oct. 26, 2017, over the Mediterranean Sea. 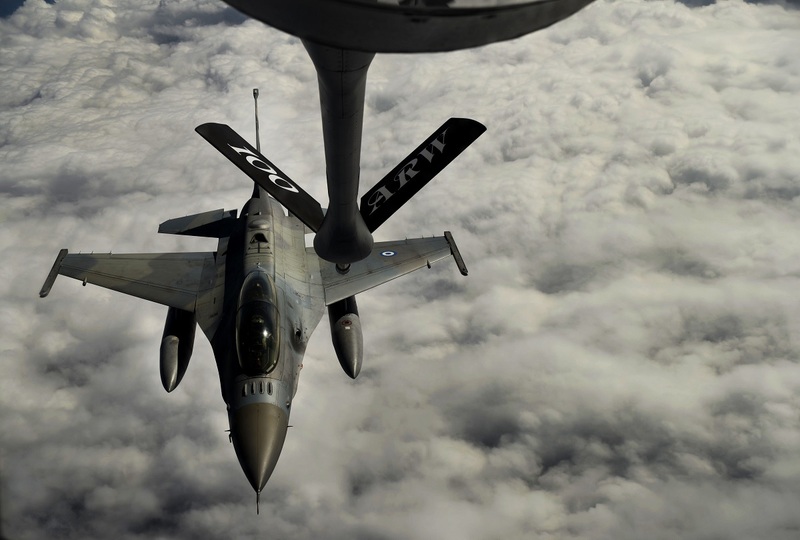 A U.S. Air Force KC-135 Stratotanker refuels a Hellenic air force F-16C Fighting Falcon Oct. 26, 2017, over the Mediterranean Sea. The HAF benefitted from this training as well, allowing 22 pilots the opportunity to practice aerial refueling hook ups. 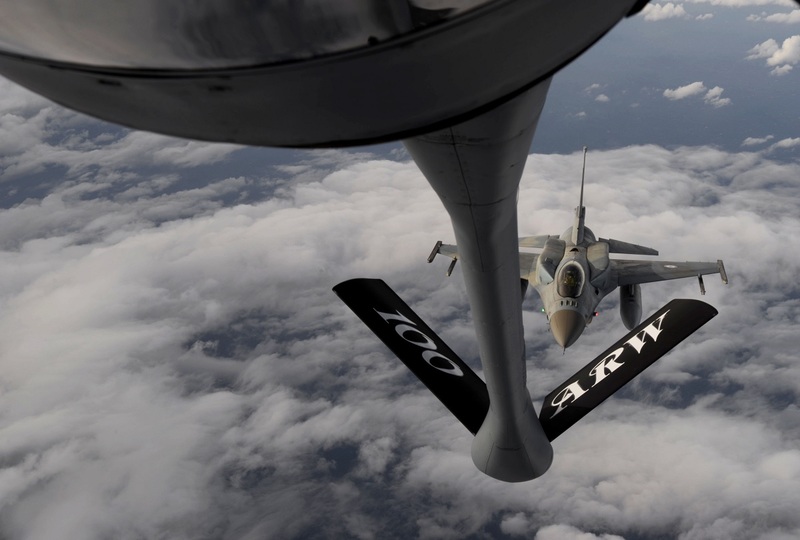 This was the first time the 100th Air Refueling Wing (ARW) operated from Greece, building partnership with the HAF, while demonstrating the KC-135’s reach in Europe. 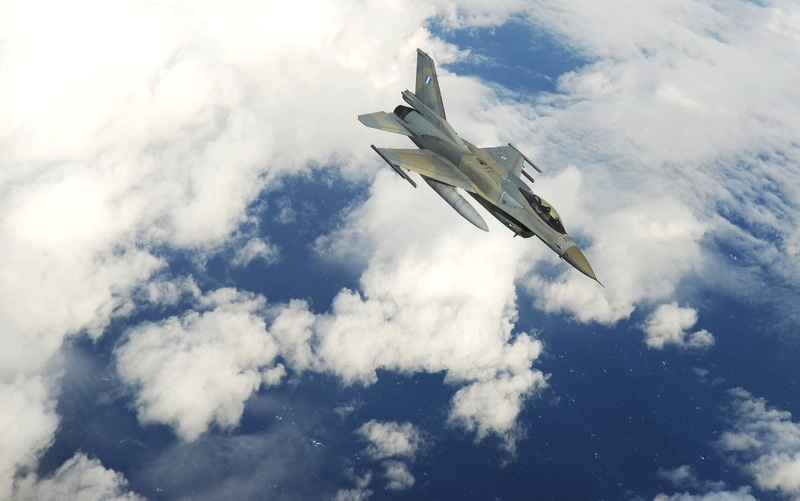 A Hellenic air force F-16D Fighting Falcon prepares to take on fuel from a U.S. Air Force KC-135 Stratotanker Oct. 26, 2017, over the Mediterranean Sea. This mission provided the training and teamwork necessary to expand capabilities and confidence of the U.S. Air Force and its NATO allies. 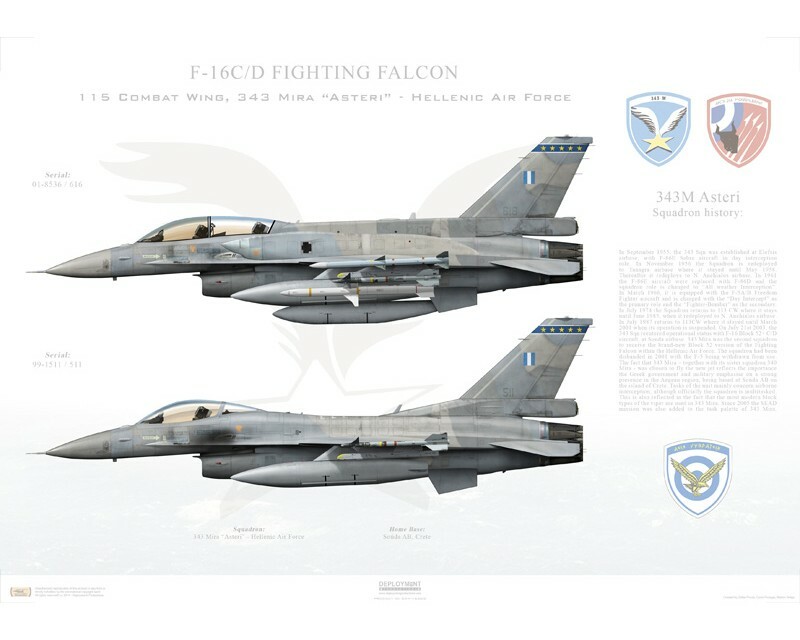 Hellenic air force F-16C Fighting Falcons fly alongside a U.S. Air Force KC-135 Stratotanker from the 100th Air Refueling Wing Oct. 26, 2017, over the Mediterranean Sea.